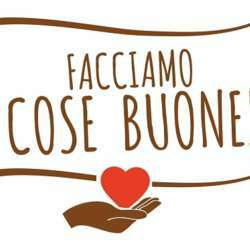 Eataly Ostiense has launched the charity initiative "WE DO GOOD THINGS", as a way to show solidarity and social commitment to non-profit organizations. On Monday 25th February, half of the incomes will be donated to the NGO Progetto Continenti. For more information please visit Protected content . The menu will consist in a main dish: Strozzapreti con broccolo siciliano, limone, polvere di capperi e seppia for 13.50€ or risotto cacio e pepe 11.50 €.